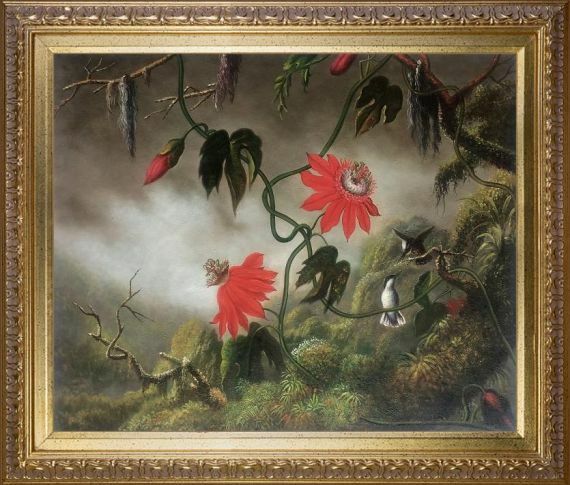 Passion Flowers with Hummingbirds, originally painted in 1893. Today it has been reproduced with exceptional use of color, detail and brush strokes. 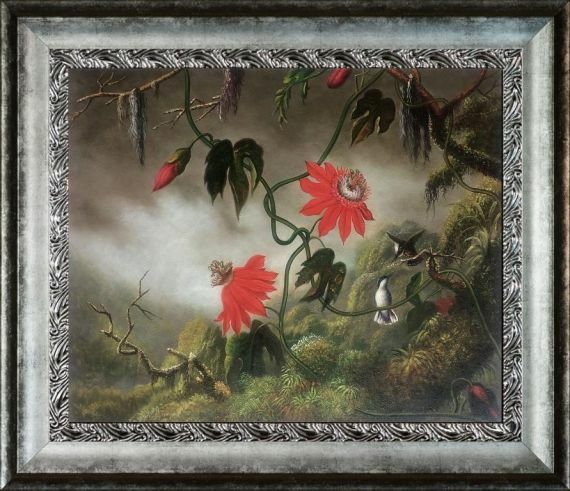 This oil painting has a delightful setting that is sure to bring many admirers. 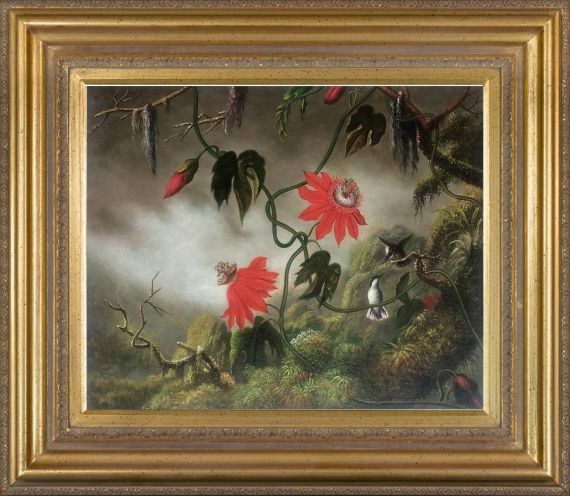 Martin Johnson Heade was a prolific American painter known for his salt marsh landscapes, seascapes, portraits of tropical birds, as well as lotus blossoms and other still life images. 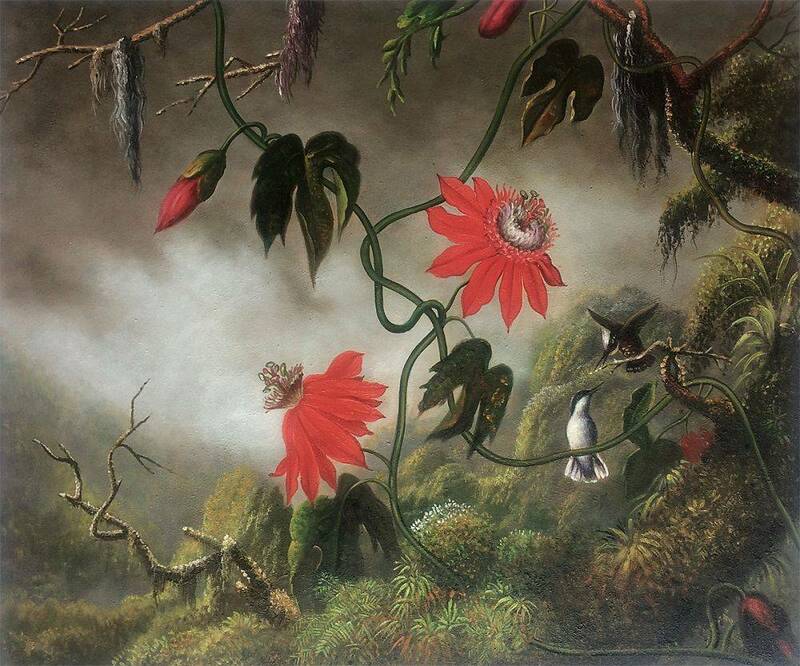 His painting style and subject matter, while derived from the romanticism of the time, Heade's work was not widely known during his life time. However, his work did attract scholars, art historians, and collectors during the 1940s. 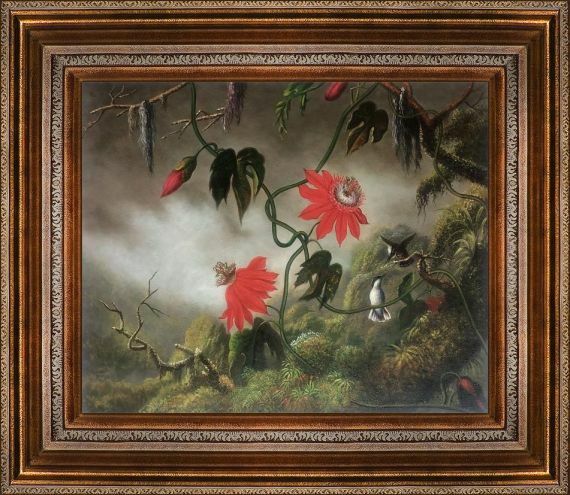 He quickly became recognized as a major American artist. 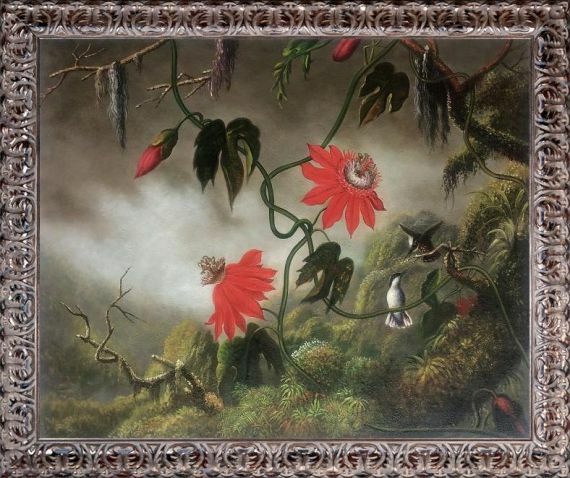 Color Palette for Passion Flowers with Hummingbirds, 1893 is empty.